I try to be mad at Dior I really do, I mean they have shamelessly reformulated a number of their modern classics (namely Dior Homme, Pure Poison and Hypnotic Poison) and whilst the newer versions still capture the essence of the original, it feels as if a small part of their spirit has been lost forever, like a butterfly who has been touched by human hands, beautiful still but irrevocably damaged. So yes, I try to be mad at Dior, but I really can’t. “Why’s that?” I hear you ask, well I can sum the reason up in three short french words; La Collection Privée. That’s right, the problem is that the recent few releases from Dior’s La Collection Privée, along with a good few others in the collection (Eau Noire anyone? ), are so good that I simply cannot stay mad, just like when Nigel makes me laugh when I’m attempting to be grumpy at him. I may be smiling at you Dior, but I’m still mad, somewhere deep down. Grand Bal is the latest addition to La Collection Privée and as you have probably guessed from the introductory paragraphs in this post, it is another good’un. 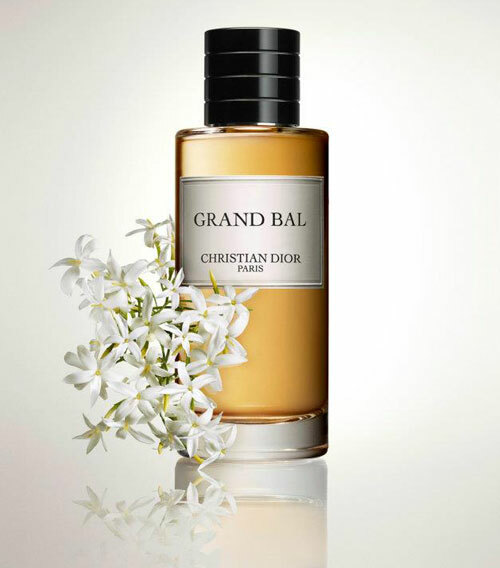 Taking inspiration from “Christian Dior’s great ball gowns, whose full skirts and beauty evoked the petals of a flower in full bloom” Grand Bal is a big, beautiful and buxom jasmine that accurately “embodies the intoxication of a summer’s night at the first light of dawn”. I was destined to like this wasn’t I? A good jasmine is hard to find and this one comes floating out of the bottle wrapped in waves of bright, dewy lemon and bergamot. I find it to be a particularly green jasmine but that’s not to say that it doesn’t have much of that wonderful hot fleshiness that all white flowers fling into the air, it does but the carnal, filthy aspects of the flower do not come through strongly. This is a pretty, well-behaved jasmine. Jasmine isn’t Grand Bal’s only flower though, in fact its bouquet is evocative of the light, misty florals of Guerlain’s Idylle. There are drops of orange blossom, lily of the valley and ylang-ylang wafting from the creases of this scented Dior gown, and as you would expect from Dior the olfactory tailoring is superb. As Grand Bal dries down, which it does relatively quickly I might add, it becomes a pretty yet straightforward floral musk. There is a touch of something creamy going on, perhaps attributed to the sandalwood, and it feels like a seamless transition from the velvety smooth quality of the florals in the heart. Grand Bal is one of the nicest jasmines I’ve smelled in a while, it’s pretty enough to be wearable but not so clean and washed out that it is dull. I’ve read comments from people who feel that it’s just another white floral and I can see why some would think that, it’s not a groundbreaking jasmine such as Serge Lutens’ Sarrasins but it is just so wonderfully pretty that one simply doesn’t care about all of that, because what really matters is that Grand Bal smells beautiful. What more could one want? Grand Bal is available as part of Dior’s exclusive La Collection Privée sold in store at Selfridge’s and Harrods in the UK. It is available in 450ml, 250ml and 125ml Eau de Parfum with prices starting at £125. Thanks to Persolaise for the sample. Notes via osmoz.com. Quotes via dior.com. Image 1 2lacreme.com. Image 2 punmiris.com. Posted in Christian Dior, Feminine, Floral and tagged Ball Gown, Christian Dior, Dior, Floral, Francois Demachy, Grand Bal, Green, Harrods, Jasmine, Perfume, Selfridge. Bookmark the permalink. That Tara is lovely isn’t she? I definitely prefer Grand Bal to Love and Tears which left me a bit cold for some reason. Welcome back CPB. I love this, it’s one of Undina’s favourites too. HA HA HA!! You are SO right CPB! This is the only Private Collection FB I own – it was an immediate love for me. I am glad you agree that it is wonderful. I do sometimes wish there was a little more complexity to it but, I am not complaining. It is an elegant fragrance worthy of Dior. And yes, these Collection Privees certainly help make up for the rest of the lackluster current Dior line. It’s a fragrance that is quite easy to love isn’t it? It’s just so pretty! This collection has killed and buried my wallet! I wish I had a problem named “I can’t hate Dior because they have La Collection Privee” I really wish I had that problem! All the more reason to visit London or Paris! You can find samples quite easily on eBay I think. Yes, it is the reason but I can’t go in the middle of academic year. Planning to go next summer. I’ve seen people selling decants and samples on ebay but they want quite a lot of money for that + shipping to Poland almost doubles the costs. I totally agree with you about having mixed feelings when it comes to Dior. I am so mad at them for messing with their amazing back catelogue but La Collection Privee is soooo good. I am also mad at them however for releasing this in the autumn. Why didn’t they release Oud Ispahan now and Grand Bal at the start of the summer? Being stupidly weather sensitive when it comes to perfume I can’t help feeling the seasonal disconnect is preventing me fully enjoying this. It’s extremely pretty and top quality though. I need to try Le Parfum de Therese again to do a comparison. That’s a very good point about the seasons, I too thought that they’d be better the other way round, especially as Grand Bal is SO summery! Ha, it’s best to keep a distance to avoid the emotional trauma! I absolutely love the picture of the ball gowned woman. And so easy to imagine her wearing Grand Bal. It’s beautiful isn’t it? Vintage dior couture is hard to beat! Thank you for the review! Well-timed too; my mother is in town and we were just out today looking for a jasmine perfume for her. I would never have thought of this and am adding it to our list of possibilities now! How is the longevity if you don’t mind me asking? My mom is in love with Keiko Mecheri’s Jasmine, but not so much with how quickly it fades on her skin . . . The longevity is pretty good, it’s quite loud to start with but quietens rather quickly but sillage and longevity are above average. Your mum might like it! I just purchased this fragrance and love it. 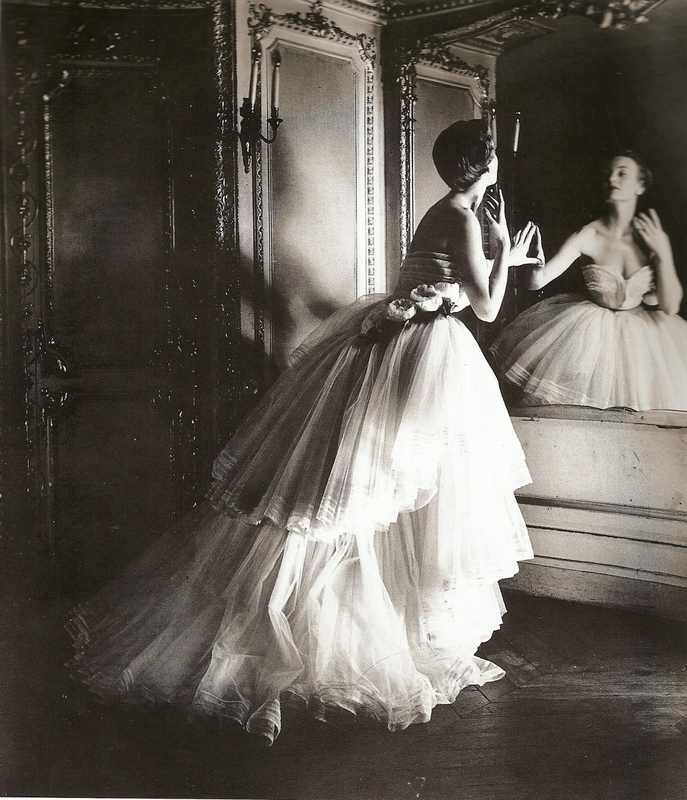 The vintage Dior photos of ball gowns and oppulent settings are a perfect reflection of the fragrance. This is a perfect dressing-up-and-going-out fragrance, and you’ll want to fully soak up the richness of the experience! Oooh yes, it’s very dressy.